Only God and the Motorola geeks knows what this name is being reserved for. Some say Kore is the codename for the next upcoming tablet, what we know as Xoom 2. The domain registrations caused heavy rumors being spilled out in the tech world of speculating the Kore to be Xoom’s successor. Motorola Xoom 2 is expected to be the iPad 2 killer, after losing its competition with the iPad. Xoom 2, m.b.k.a (might be known as) Kore, would have a 4:3 aspect ratio, like iPad 2, and NVIDIA’S new quad core Tegra 3 Processors with Android Ice Cream as its operating system. Following are the domain names that were registered ! 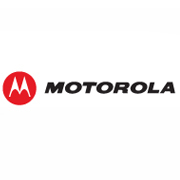 What’s your take if Motorola names it new tablet Kore ? Does it sound tech-ish or simple ?